Houston, TX – March 23, 2016 – Christopher Wick, Founder & Social Media Consultant, SMM International, was invited to speak with Rotary members by Craig Splawn, President, Rotary of Houston Westchase, on March 23, 2016 at the Rio Ranch restaurant. Rotary is an international organization bringing together business and professional leaders to provide humanitarian services, encourage high ethical services in all vocations, and help build goodwill and peace in the world. Christopher spoke about “How to Grow Your Rotary Membership with Internet Branding and Social Media Secrets.” He emphasized the importance of an online brand presence and science of measuring social media engagement by understanding the audience, analyzing organic and “fake” followers, liking, commenting and sharing posts to increase membership growth of future Rotarians. 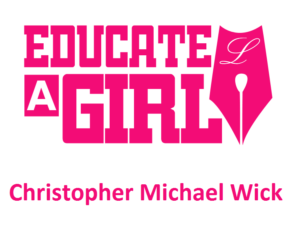 Christopher is a seasoned award-winning speaker and informative author. He wrote Amazon’s #1 U.S. & Internationally best-selling book, “How to Use Social Media to Grow your Business and Make Money,” published in May, 2015. 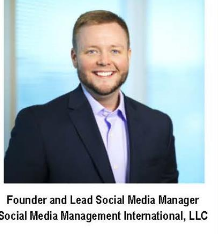 As Founder of SMM International, an international social media marketing firm, Christopher is responsible for consulting with clients to ensure their online reputation and internet presence to serve their business objectives for revenue growth, lead generation and growing the bottom line. SMM International focuses on managing client’s social media accounts by posting original content, managing incoming messages and growing followers. Since 2009, Christopher has been consulting with various industries including legal services, hair care, public relations, restaurant’s, management and self-help sectors. The Rotary of Houston Westchase helps raise funding for The Quillian Center, a Methodist Youth Camp, and Alief ISD students for school supplies and backpacks. College scholarships are provided for eighteen Spring Branch ISD students, Alief ISD, and Lutheran High School. Scholarship program awards one thousand dollars annually to high students over four years. Guest speakers sign children’s books for donations to area schools. SMM International is headquartered in Houston, TX. For more information about SMM International, visit SMM International. Christopher Wick, Social Media Guru and LIVE on WLOX – Leading in a Digital Era! Fill in the Form Below and Our Staff will Get Back to You ASAP.